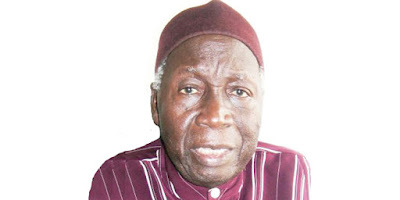 Dozie Ikedife, former President General of Ohaneze Ndigbo has maintained that Biafra can never die or be forgotten by people of the South East because it has become their identity. Ikedife, who is the convener of South East Elders Forum, noted that Biafra is very important to some people from the South East. Speaking on Friday in Nnewi, Anambra State, Ezeife stressed that nobody wants to forget their identity. The former Ohanaeze President also noted that he had always advocated that the issue of actualizing self-determination for the Igbo would be accomplished through dialogue, diplomacy, non-violence, legal means and operating within the law. He said, “These are people who met in the South Eastern part of West Africa in an area now called Nigeria when the Portuguese explorers of the 15th century came calling during their exploration of West Africa. "Note that in any situation, anybody sitting comfortably would like the status quo to be maintained. On the other hand, anybody not sitting comfortably would call for adjustment. This is basic. “They call for restructuring. We have to define what we are restructuring, to what extent will it go. Will it be far enough to remove all these traces of discomfort in the system or will it just be a perfunctory alleviation of the discomfort? “We must understand that. And until the inequality, marginalization, uneven distribution of patronages, infrastructural development, unemployment, economic empowerment, accommodation or systematic exclusion are addressed, the agitation up and down in this country will certainly not abate.